Follow For Lost &amp; Found Pet Advice, Happy Tails, Lost Pet Prevention Tips and More! Posted By : Clayton G.
Are you searching for your lost pet? You’ve come to the right place. Raising a ton of local awareness is key to getting back your lost family member. This guide was designed to help you do that, quickly and efficiently. Losing a pet is a scary experience. But you won’t be able to help your fur baby unless you stay calm and keep a cool head! 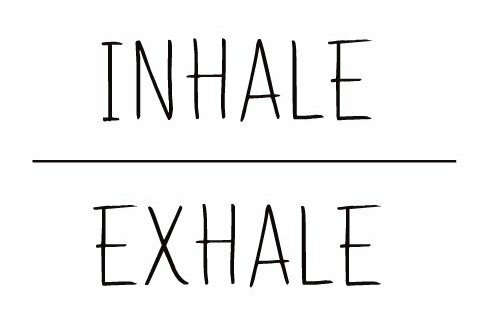 First, take a few deep breaths. Step 2: Use online lost & found pet resources. Time is your most valuable resource, so don’t waste it! Raising local awareness quickly is your best strategy for reuniting with your beloved pet, and the internet is the most efficient way to do this. PawBoost makes it easy! Reporting a lost pet takes seconds. We’ll send an email alert to our local members, post to the PawBoost-powered Facebook page for your area, add your pet to our lost & found, and make a lost pet flyer – all for free. You can also boost your alert to get it in front of even more people. Make sure to check the PawBoost lost & found frequently. Over 1,000 lost & found pets are added every single day, so you want to make sure you don’t miss something that could lead to a happy reunion! Other sites that help you raise local awareness for your lost pet with minimal time and effort are Craigslist and Nextdoor.com. Both of these sites have very active lost & found sections mainly used for lost pets. We highly recommend you use these resources in addition to PawBoost! 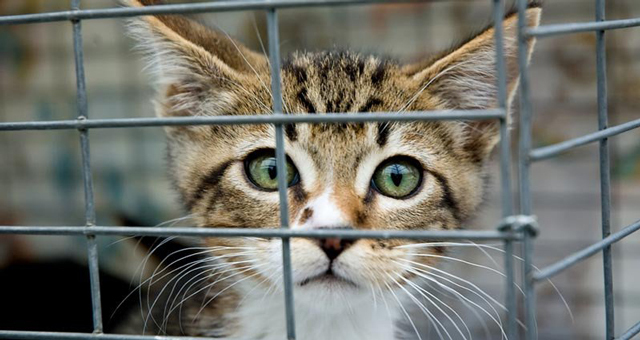 Step 3: Visit your local animal control agencies and shelters in person. If someone finds your pet, they may take him or her to your local shelter or animal control facility. It is important that you visit these places in person. Many shelters are understaffed and underfunded. Do NOT expect them to contact you if your pet is taken in – even if he or she is chipped! The only way you can guarantee knowing if your pet is at a shelter is to visit that shelter in person. Do not assume you will be contacted if your pet is taken in to a shelter – even if your fur baby is chipped! Don’t know all of your local shelter organizations? You can use Google to find them. Try Googling the term “animal shelters near [insert city/town name here]” or “animal control near [insert city/town name here]” to see a list. Look for your local SPCA, animal control facility, pound, or Humane Society, as these are the more likely facilities your pet might end up at. Step 4: Make sure your pet’s microchip is registered and up-to-date. Even if your pet is chipped, it won’t help unless the microchip is registered and your contact information is up-to-date. To make sure this is the case, first get the microchip number handy. 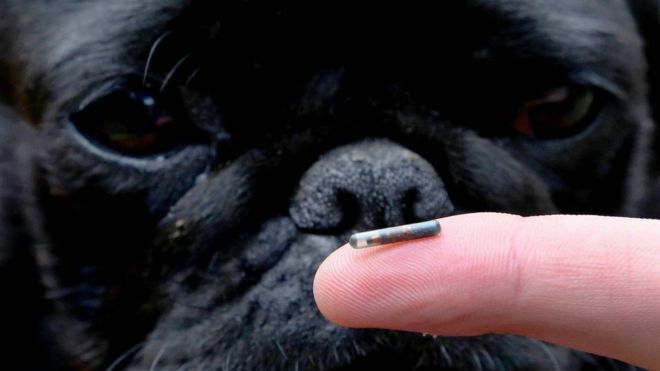 If you don’t know the microchip number, call your vet and they should have the number in their records. When you have the microchip number, you can simply plug it into the AAHA’s Microchip Lookup tool to determine the brand. Once you know your pet’s microchip number and the company that made it, you can make sure it’s registered and the info is up-to-date by calling the company or using their website to register and/or update your contact information. You can read more about how microchips work in this article. Step 5: Put up lost pet flyers. Old-fashioned missing pet flyers are still a great way to alert as many local people as possible. Put up flyers in your neighborhood and in nearby highly trafficked locations such as grocery stores and popular businesses. 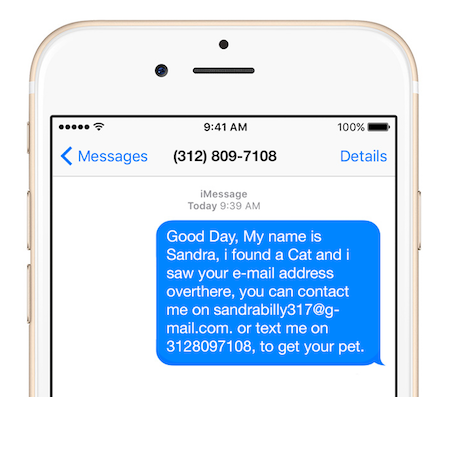 Include a picture of your pet and your contact information. Make sure the text on the flyer is easily legible. If you have access to a color printer, use loud colors to make the flyer stand out. 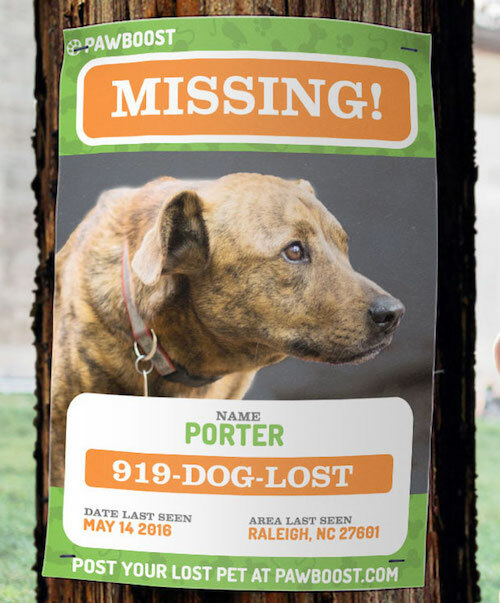 Note the loud colors, legible phone number, and large picture of Porter in this lost pet flyer. PawBoost creates a free, eye-catching printable flyer (8.5″ x 11″) for you when you report a lost pet. If you want an even higher impact sign, follow these tips to learn how to create an eye-catching missing poster that can be read from inside a speeding car. Step 6: Tell your neighbors your pet is lost. Most lost pets don’t stray more than a few miles from where they went missing (although some do stray much further). Making your neighbors aware of your situation is a surefire way to increase your odds of a happy reunion. Call your neighbors and let them know to keep an eye out for your pet. Knock on doors and hand out lost pet flyers. Walk or drive around your neighborhood regularly. Tell your postman to be on the lookout. Another great way to get neighbors in on the search is to put a flyer in mailboxes within a two- to three-block radius. Even better, include a letter with the flyer introducing yourself and explaining your situation. People will want to help! 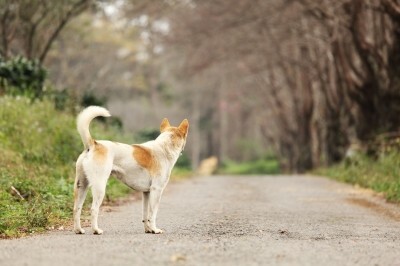 Most lost pets don’t stray too far from their homes, so pound that pavement! Make sure everyone you speak to has your contact information and knows what your pet looks like so they can get in touch if they find your missing pet. The more people that know, the better your chance of a happy reunion! 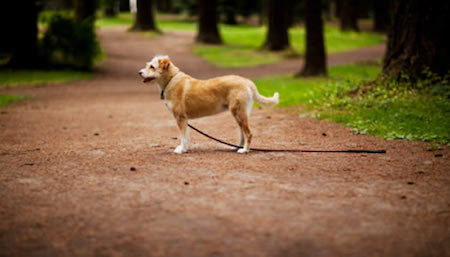 Step 7: Follow up on leads such as stray pet sightings or found collars/tags. Was your pet sighted in the neighborhood 3 miles down the street? Drive there and put up missing pet flyers. Lost pets often return to the same areas. The people living there need to know who to contact the next time your pet is spotted. Sightings can help refine the search for your lost pet. You should also periodically return in person to the locations where your pet was sighted. The high stress situation of being lost could cause your pet to act uncharacteristically skittish. He or she may be wary of strangers, but would come running for mom or dad! Step 8: Practice due diligence. There is a wonderful community of pet lovers out there that want to help you find your lost pet. 99% of the time, these are the people who will contact you with leads, advice, or ideally, because they’ve found your pet! Unfortunately, there are also some unscrupulous people out there that could be looking to profit from your desperate situation. You should never send money to anyone you don’t know or haven’t met, even if they say they have your pet. Beware of vague, generic messages from people claiming to have found your pet. The above message came from a real scammer. If someone claims to have found your pet, don’t ask leading questions like ‘Does she have a white spot on the back of her leg?’ Instead, have the person provide the description. Ask them to describe something about your pet that wouldn’t be visible in pictures that may have been posted. If the person fails to come up with an identifying physical attribute, this is a warning sign that they might be lying to you. If you are absolutely confident this person has your pet, arrange to make the exchange in person and in a public place. Better safe than sorry! Step 9: Don’t give up! Remember to never give up on searching for your lost pet, because your pet would never give up on you! 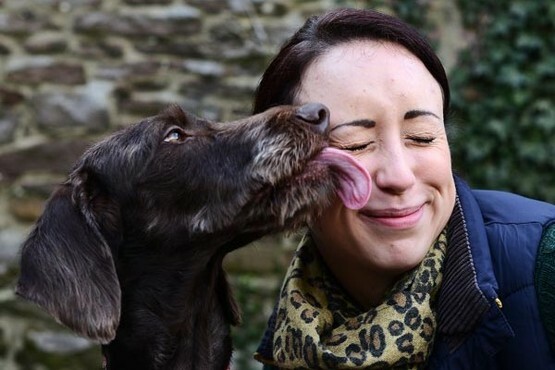 Pets are reunited with their families after missing for days, weeks, months or even years. Just read about Sebastian, who was reunited after 4 weeks missing; Marley, who was reunited after more than 6 weeks missing; or Sasha, who was reunited after 7 months! There’s a good chance your pet is being cared for by another family who couldn’t find you, the pet’s rightful owner. From what we’ve seen at PawBoost, this is among the most common scenarios. Many people avoid taking a found pet to a shelter because they fear the pet will be euthanized, or they make incorrect assumptions about the pet’s previous owners (e.g. their pet got lost so they must not care about it). Passively waiting for your pet to come home is NOT going to help you find these people! This means you can’t give up when it comes to raising local awareness. Did you find this guide helpful? Please share it with more people by adding this link to your website!